CINCINNATI -- FC Cincinnati has been a stopping place for several former Major League Soccer players looking to get back to that level and in other cases, a springboard to the first division. For those on the current FC Cincinnati roster, there could be a chance to rise with the club if MLS awards it one of the two expansion bids. It’s uncertain how many players would stay on the first team roster if FC Cincinnati moves on to the majors, but fans can expect to see at least a few familiar faces sticking around. When asked if the club is making roster decisions with an MLS future in mind, FC Cincinnati President and General Manager Jeff Berding said the first focus is on preparing for the upcoming United Soccer League season, but those who prove themselves at this level will get a chance at the next, if Cincinnati is awarded a bid. Expansion clubs have several options for building a roster. MLS allows up to 30 players on an active roster with the first 20 counting toward the team’s salary budget, which in 2017 was $3,845,000, and referred to as the senior roster. The expansion draft, usually held shortly after the MLS Cup final in mid-December, allows newcomers to the league to select one player from any five MLS teams -- aside from those players placed on a club’s protected list. Then there is the four-round MLS SuperDraft in January, which is similar to the NFL draft. Teams that already have academies set up can use “homegrown players,” signing them directly to the team. Free agency and the signing of up to three designated players -- usually big-name international players who are permitted to be paid above the salary cap -- help fill the rest of the squad. FC Cincinnati season-ticket holder Suzie Langen, 54 of Burlington, said she would like to see a good mix of old and new players if the club moves up to MLS. “You have to have some sort of bridge from the old to the new,” said Langen, whose two children both played soccer from the youth level on up to the college ranks. “Not only do I think some guys are able to compete at that level but I think it would be a good thing to have them there since they have been with the club. Minnesota United FC and Orlando City SC, two of the last three expansion clubs added to MLS, probably are the most comparable examples to what could be in store for a potential FC Cincinnati’s roster at the first division. Both expansion clubs took vastly different approaches in building their first rosters -- Orlando joining the league in 2015 after a jump from the United Soccer League and Minnesota moving up from the North American Soccer League this year. 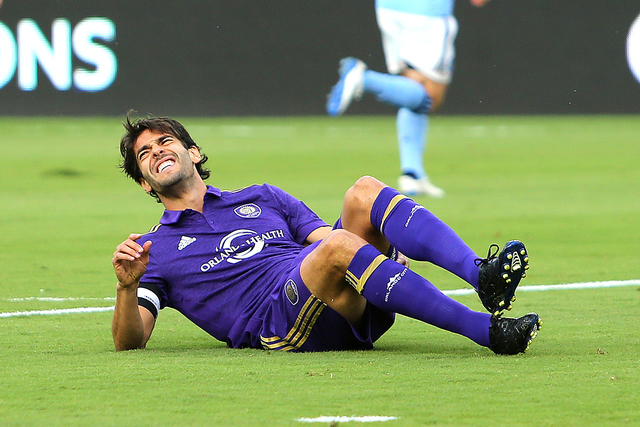 Orlando kept eight players from its USL roster but also bought stars like Kaka from AC Milan and two other designated players. The club also acquired three players with allocation money, which reduces the amount a player costs against the salary cap, three via the Super Draft, three via transfers, three others via free agency, and it kept six of 10 players taken in the expansion draft (there were previously 10 rounds, but dropped to five after that) and picked up one from the MLS re-entry draft. Minnesota also maintained eight players from its NASL roster, and that seemed to be the backbone of the roster. United didn’t sign any designated players and instead focused on getting players at the edge of their prime. The club didn’t make any really splashy signings. Neither Minnesota nor Orlando were particularly successful in their inaugural seasons, as both missed the playoffs, so perhaps FC Cincinnati will take more of an Atlanta United approach. Atlanta, a completely new club, built its roster from scratch but didn’t hold back on expenses. 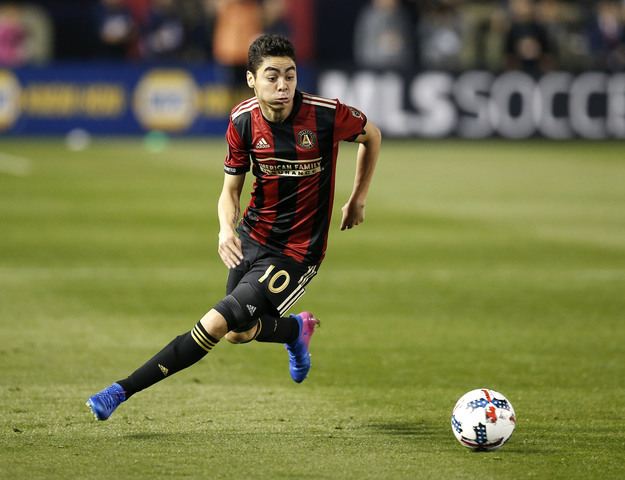 Owner Arthur Blank funded one of the most expensive teams in the league, picking up players like American internationals Greg Garza and Brad Guzan and Paraguayan international Miguel Almiron (his transfer fee alone was reported at $8 million), among others. The result was a fourth-place finish in the Eastern Conference and trip to the playoffs. With billionaire Carl Lindner III backing the club, FC Cincinnati’s ownership group has deep pockets but already plans to privately finance a $200 million stadium, on top of paying the $150 million expansion fee if awarded a spot in MLS. Berding did not indicate whether that could have an impact on roster spending. Williams said many fans might assume that because FC Cincinnati has players with MLS experience and because the club beat two MLS squads in the U.S. Open Cup that much of the current roster would be suitable at the next level. FC Cincinnati recently lost goalkeeper Mitch Hildebrandt to Atlanta United, and last year, USL Player of the Year Sean Okoli signed with New York City FC, so clearly the talent is there to some extent. However, Williams believes to be successful, FC Cincinnati would have to go out and “get big players” like Atlanta. Cincinnati has yet to even win a playoff game at the USL level.